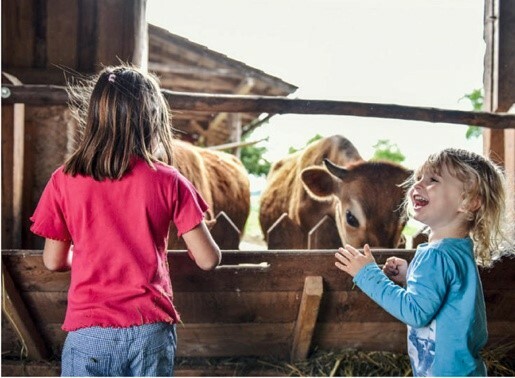 Under the motto "living, learning and working in harmony with nature", the Putti-Hof in Buchkirchen near Wels (Upper Austria) offers a wide range of social-educational experiences for children, adolescents and adults with and without disabilities. For this commitment, the family business of Heike and Andreas Purtscheller was awarded as the first “Green Care” certified farm in Upper Austria. For "animal-based education on the farm" the farm received the award “ÖKL-Hoftafel”. 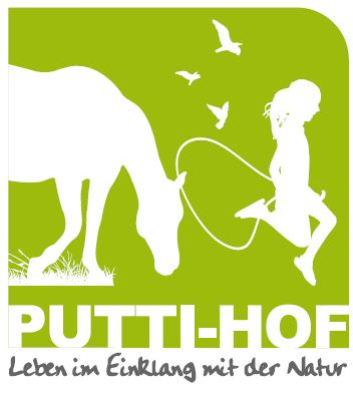 In September 2011, the family founded the private childcare "Nature children in the garden at Putti-Hof". In this care, life in the annual cycle with nature, for example, the planting, grooming, harvesting and processing of vegetables or by the correct handling of animals in the context of the "Animal-Assisted Pedagogy", is passed on to the younger generation. The peasant woman Heike Purtscheller is a pedagogue, has passed the ÖKL certification for the "Animal-Assisted Pedagogy", a Waldorf education course and the LFI certificate course "Schule am Bauernhof". The farm cooperates with teachers of Caritas St. Elisabeth. For people with disabilities, there is the opportunity to participate in skill-based activities based on a colorful daily structure. Depending on their interests, they can help, for example, in the repair shop, in the garden or in the barn, and develop a healthy sense of self-worth. This is where "Animal-Assisted Pedagogy" flows in. For example, traumatized adolescents can often rebuild trust in people through contact with animals. Furthermore, adolescents with dual diagnoses (for example mental and cognitive impairment) are prepared for everyday work by work in the field of agriculture. For adolescents in difficult situations, there is a time-sensitive training course with a sensitive emergency pedagogy. Seminars and workshops for people with and without disabilities take place on a variety of topics, such as dairy farming or teambuilding. With the project “Green Care - Where people flourish”, agricultural and forestry enterprises become partners in the social, health, education and economic systems. In cooperation with social welfare organizations and institutions, the farm becomes a place of work, education, health and life and offers a variety of services and services for young and older people, persons with disabilities, physical and mental stress. The focus is on the interaction between human, animal and nature. The association Green Care Austria form together with nine chambers of agriculture a competence center.